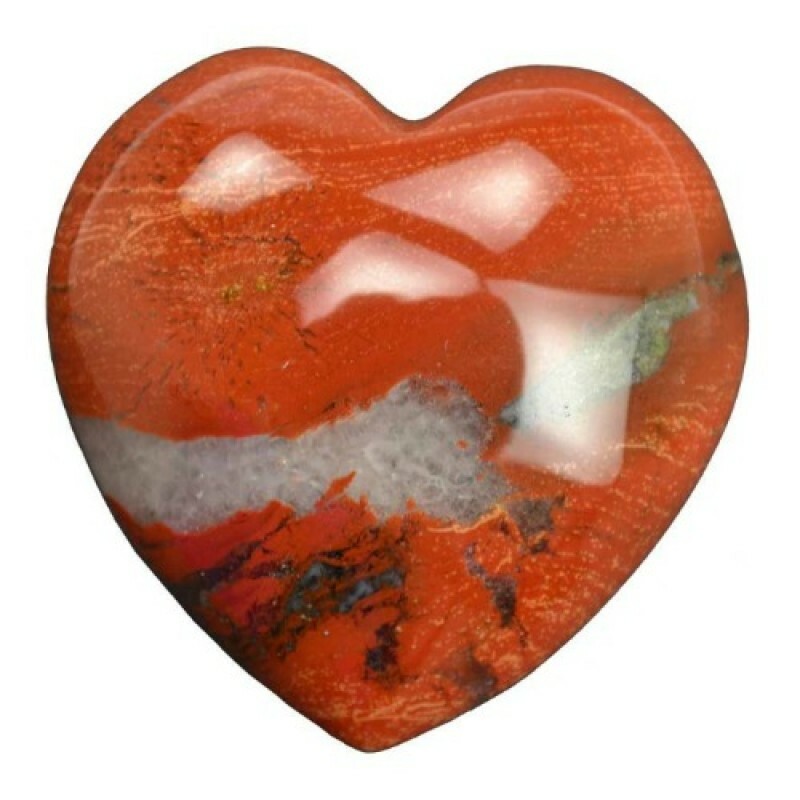 A stone heart cut from Brecciated Jasper and then tumbled and polished to a high gloss. Each heart is different in color, pattern and fractures/inclusions. Yours is chosen by random selection only. 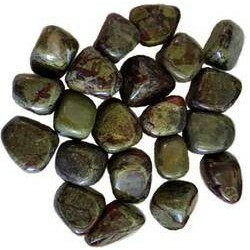 Brecciated Jasper. 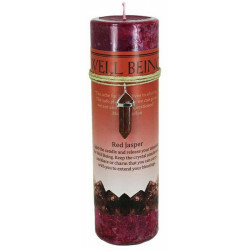 1 3/4"
Well Being. "The ache for home lives in all of us.  The safe place where we can go as we are and not .. 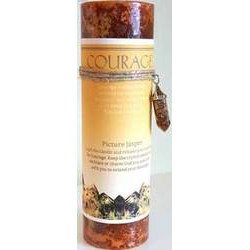 Courage candle with amulet necklace charm. 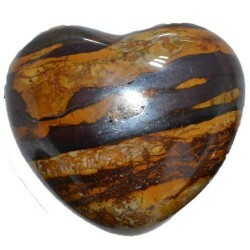 Picture Jasper, light the candle and release your intenti.. 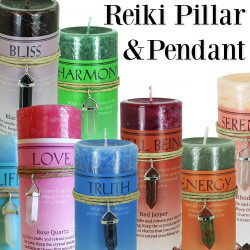 Pillar Candle & Gemstone Pendant - 6.25" x 2"
A wonderful house warming gift! 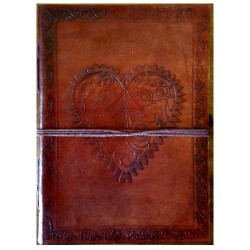 Abundance, Love, Protection, Courage and many more charged candles, ..
Heart Leather Blank Book w/ Cord 5" x 7"
This Heart leather blank book, cover has a beautiful centered embossed heart, bordered with Celtic d..
Jasper, Dragon Blood Stone is thought to promote patience and stimulate perception and personal powe..
Jasper Dragon Blood egg for the gemstone egg collector. 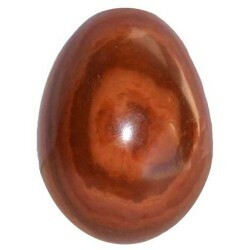 Jasper, Dragon Blood Stone is thought to pro..
Dessert Sunset Jasper, is believed to bring good fortune and stabilize one's own personal energy wit..
Carnelian egg For the gemstone egg collections. Also known as red banded Jasper: Red is the color of..